This is just a small sample of our capital allowances claims work. This nursing home, located in West Yorkshire, is owned by a limited company. We were contacted by the company ‘s accountant and were awarded the contract based on our experience in capital allowances claims on nursing and care homes as well as our competitive pricing. The end result was the identification of £365k of previously unclaimed capital allowances. At a corporation tax rate of 20% this produces an overall potential tax benefit of circa £73k. One of the Directors of the company which owns the nursing home above also owns a care home in Cumbria as part of a partnership. This was a slightly more complex claim as there was evidence that a previous owner had claimed capital allowances. However this did not preclude a claim but did restrict it to an extent. Despite this capital allowances were able to be claimed of £212k and with the partners being subject to tax at 40% this produces a tax saving over time of circa £85k. This care home is situated near Yeovil in Somerset. The original purchase contract listed “Fixtures & Fittings” at £6,000 but our due diligence revealed that this figure related only to items such as furniture and not “Fixtures” which had never been claimed. This is a common scenario. When we completed our capital allowances claims review we identified a further £102,831 of unclaimed capital allowances. This represents a tax saving over time of circa £41,100 for a 40% income tax payer. 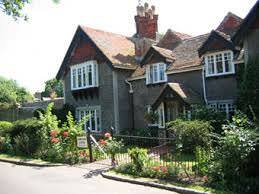 This care home near Brighton was purchased for just over £1m excluding any payment for goodwill. The purchase contract showed a fixtures and fittings amount of £30,000 but as is common in sales of commercial property the items were actually not “fixtures” as defined by the Capital Allowances Act allowing us to identify a further unclaimed capital allowances amount of circa £237,000. As the property is owned by two higher rate tax payers the overall tax saving over time will be circa £94,000. They were very pleased with the results. 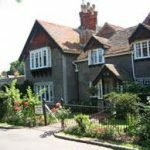 This care home in Kent was purchased in 1996 and shares in the property have subsequently been gifted to various family members. Our capital allowances claims process uncovered unclaimed allowances of £370,704. This equates to a total tax saving over time of £148,281 for the partners. We continually strive to maximise the capital allowances to be claimed on any property for the benefit of our clients. However this has to be balanced with due regard for the applicable capital allowances legislation. This beautiful Cotswolds Hotel was originally an 18th Century Coaching Inn and retains a lot of the character from this period. We were delighted to be awarded the capital allowances claims contract after speaking at length with the owner’s accountant. The end result was the identification of circa £337k in previously unidentified capital allowances which for the owners, on a 40% tax rate, means an overall tax benefit of circa £134k. We were contacted by the property owner’s accountant who wanted an initial high level capital allowances review for his client. The property, purchased at a cost £1.25m, is a mixed use property in Birmingham with retail units on the ground floor and a language school on the floors above. When our work was completed £302k worth of capital allowances had been identified and as the owner was a 40% income tax payer this translated into an income tax saving over time of £121,000. There was an almost immediate income tax saving of £27k. 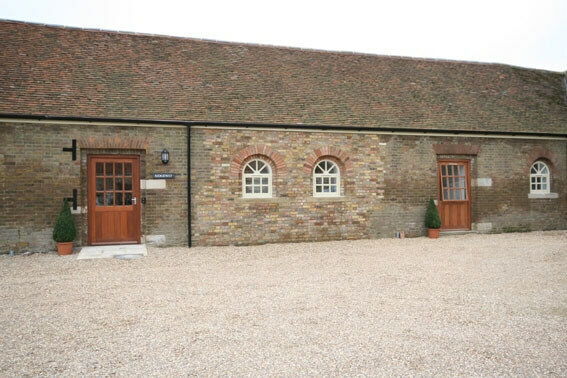 This large office building located in outer London cost the owners just over £4m to purchase. After establishing that the owners limited company was entitled to make a full capital allowances claim, we surveyed the property and produced a full disclosure capital allowances report. The claim identified £1.017m of previously unclaimed capital allowances. This equates to a potential tax saving over time of circa £200k . A national organisation with seven offices spread across the UK. The value of the portfolio was in excess of £4m, and we were able to identify £550k worth of capital allowances. This equates to a total tax saving over time, at 20% corporation tax, of £110k. We were slightly disappointed by the result, in this case caused by the high cost of their London Office where it is not uncommon for the price of the land to make up 40% to 50% of the overall purchase value of the property. The significance of this is that it reduces the percentage that can be attributed to plant & machinery (p&m) attracting the capital allowances. The client, however, was delighted! A fairly straightforward claim for two office units at Rotherbrook Court, Petersfield, Hampshire. Total cost of acquisition was circa £625k and the capital allowances identified were £145k. This equates to a tax saving of £29k over time at an income tax rate of 20%. The owner was the landlord of the properties as opposed to the tenant. In one of the properties the tenant had spent money on air conditioning amongst other things but the capital expenditure for this would be claimable by the tenant and not the owner. Located in the North-West of England this was originally a new build food warehouse incorporating a large freezer unit. The total construction cost was circa £2.2m in 2009. The capital allowances we identified were circa £605k producing a tax saving over time of circa £120k for a 20% corporation tax payer. This case was slightly unusual as we assessed the internal freezer unit was a piece of plant in its own right meaning that its cost, allowing for indexation, could be claimed in its entirety. This boosted the overall claim significantly. 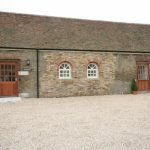 This furnished holiday lets business, based on a farm, spent £155k developing two barns. The capital allowances we identified were £50,600 which was approximately 33% of the overall expenditure. Although the tax saving over time will be circa £25,000 nearly 50% of this will be realised within a year because the owners wisely commissioned the claim very shortly after the actual expenditure was incurred. This meant they were able to increase the rate at which the tax relief was received because of the availability of the Annual Investment Allowance (AIA). This public house was purchased from the local council which meant that the capital allowances history of the property was easier to track than most. The purchaser of the freehold had been the leaseholder for a number of years and had developed the property during that time. The capital allowances identified were £67,073 which for a 20% tax payer produced an overall tax saving over time of circa £13,500. This public house in Essex produced capital allowances of £94,350. This equates to a tax saving of circa £38,000 over time for the owners. This was a good return bearing in mind there were some restrictions on the owners overall entitlement to claim. This Guest House in Whitby was purchased for £422k in 2012. The original purchase contract listed “fixtures” valued at £15k. However when we came to undertake our detailed capital allowances survey and analysis of the property we discovered a further £110k in unclaimed capital allowances. The owners, who are 40% tax payers, will benefit from tax savings over time of circa £44k.